Sculpture made from vintage silver plated cutlery pieces. 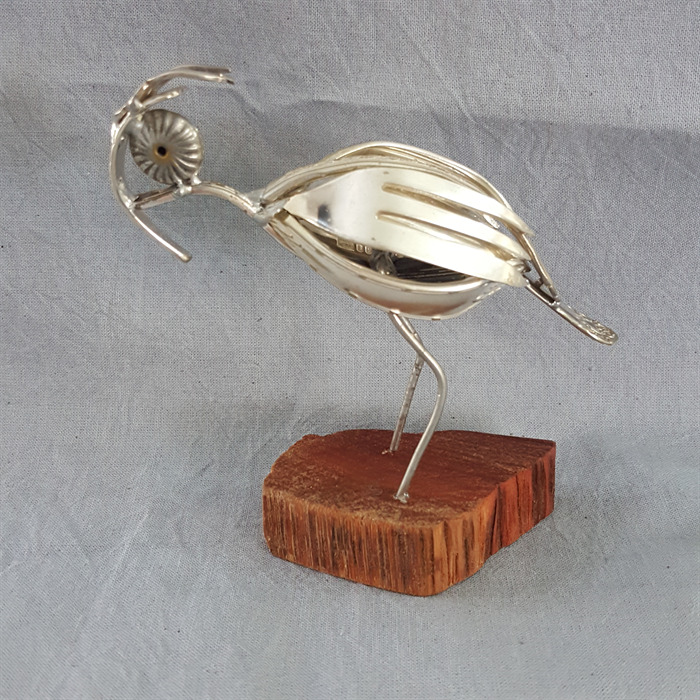 This cute fantasy bird has been made by hand using vintage cutlery pieces and it is an individual piece of sculpture. Each piece used in its construction was formed and cleaned before being put together. 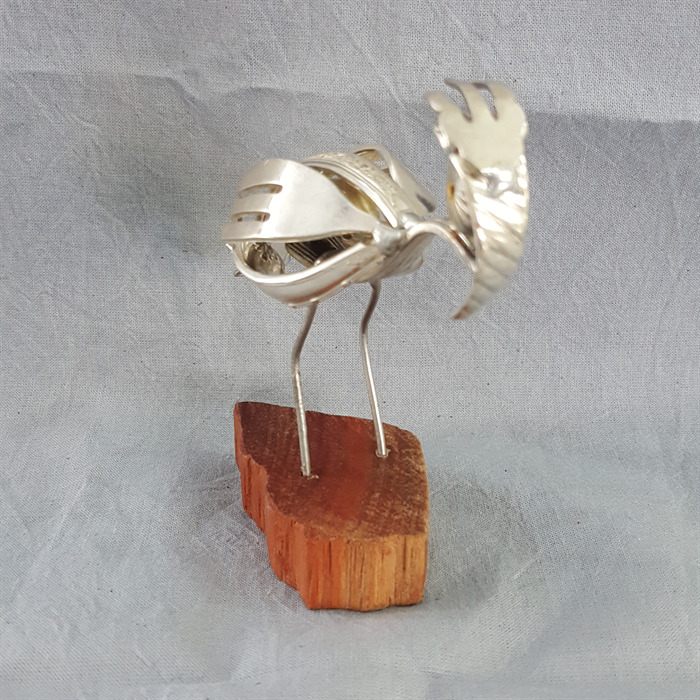 The bird stands securely on a jarrah wood base and is 12 cm high in total. It would make the perfect gift for someone dedicated to recycling. 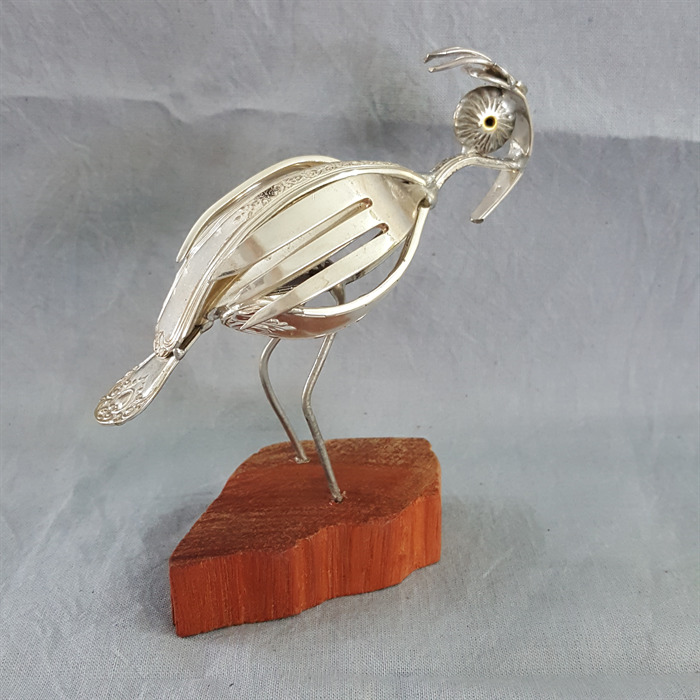 All sculptures have been hand made from vintage, recycled silver plated cutlery. They are all made with care, using traditional tools, in my home workshop. Although my tools are modified to reduce the risk of scratches or marking on the pieces, it should be accepted that most are at least 50 yrs old so may show some marks from their previous life.